Hicks Hardwood Flooring works to honor our Lord and Savior Jesus in everything that we do, and that’s why our experienced specialist are dedicated to each job making sure that each floor is handled with care for a lifetime durable shine. 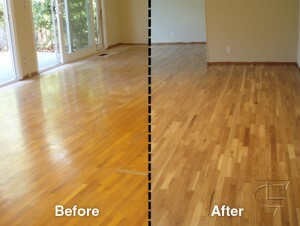 We handle all wood flooring needs from repairs, full refinishing, and installation if you don’t already have hardwood. Heavy foot traffic eventually takes its toll. One clear benefit to owning a hardwood is that they can be sanded and refinished multiple times. Any high quality engineered floor will usually have enough surface material to allow for at least 1 or 2 refinishing’s. Wood floor refinishing is like having a brand new hardwood floor installed all over again and will restore the elegance of your hardwood flooring to “like new” condition. Unless serious problems exist, wood floor refinishing is a better, more affordable alternative to a new replacement. Sanding will restore the original surface texture and prepare the wood for stain, sealer, and finishing. The sanding process will remove all deep and surface scratches that your wood floors have collected over their many years of use. Staining will allow you to custom pick a new color to fit the style of your home and finishing will allow you to choose what type of finish and how many coats you will apply for durability. How do I choose a stain color? Most of our customers are choosing the natural look with no stain applied, we can then use an amber polyuathane coating or a clear semi gloss to shine them up from there. Since this process has 1 less step it is also the most economically for cost. If you looking to change the color of your flooring we can add stain which will provide multiple custom options for you to match up with the rest of your home. 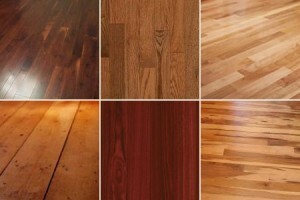 Here are a few samples, if you wish to use a custom blend contact our specialist today for a free in home consultation. Hardwood flooring is not something you want to keep redoing. You want the job done right the first time polished to that mirror finish everyone will envy. Refinishing those hidden floors, polishing hardwood you already have up, or installing new hardwood. Hicks Hardwood Flooring is serving all Major Cities surrounding the Detroit, MI area including downriver Wayne County, Oakland County, and Macomb County.